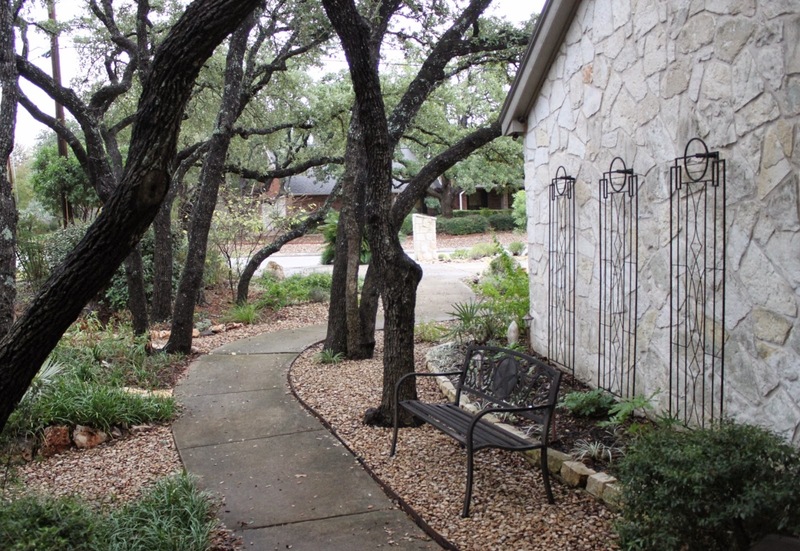 When it comes to native grasses in a Texas garden it's hard to beat the muhly family. 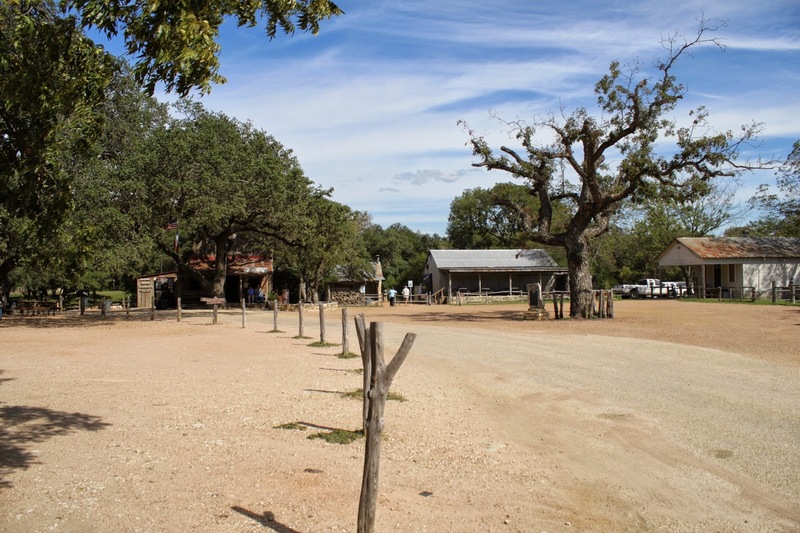 Many of them are native to Texas or nearby areas and they seem to thrive in our hot, dry summers and freezing winters. I'm linking with Loree at Danger Garden to feature my favorite plant for November. All during the year the muhly grasses provide a green, grassy anchor throughout the garden but it is in the fall when they truly command the most attention. 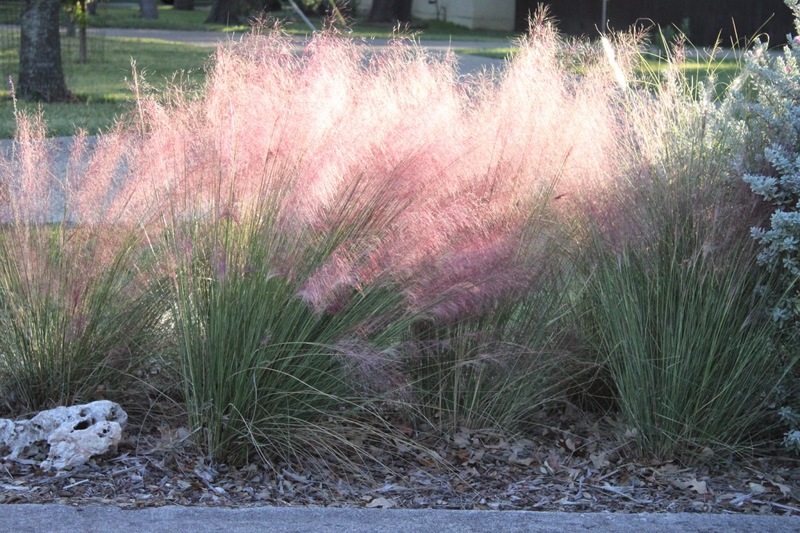 The Muhlenbergia capillaris aka Pink Muhly along the driveway are November standouts in the garden. Out near the street this stand of cotton-candy puffs wave at passersby during November. "Cactus, party of one" describes Leuchtenbergia principis best. 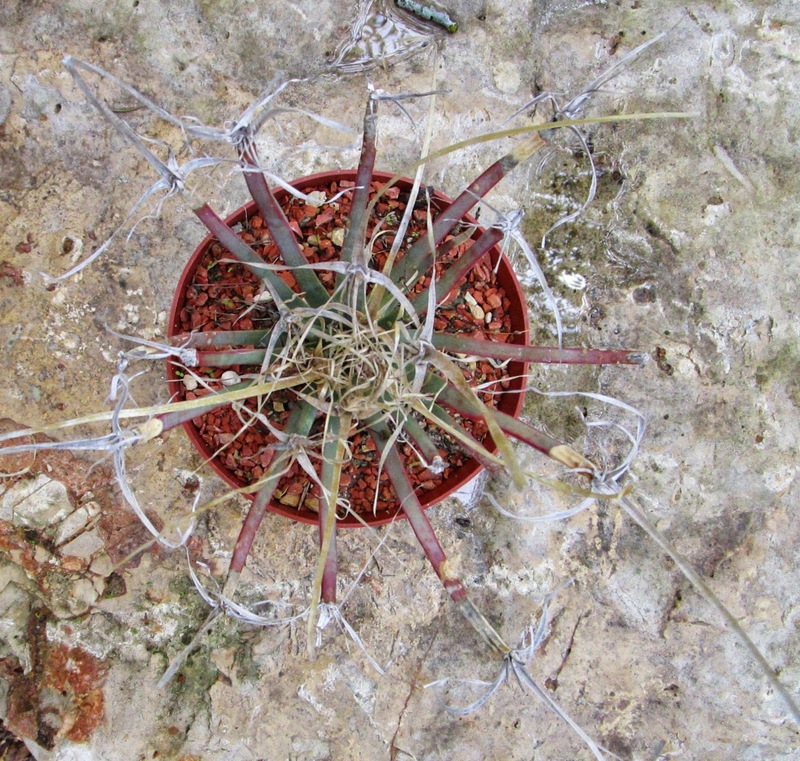 It's the sole species of the genus Leuchtenbergia which is a species of cactus. 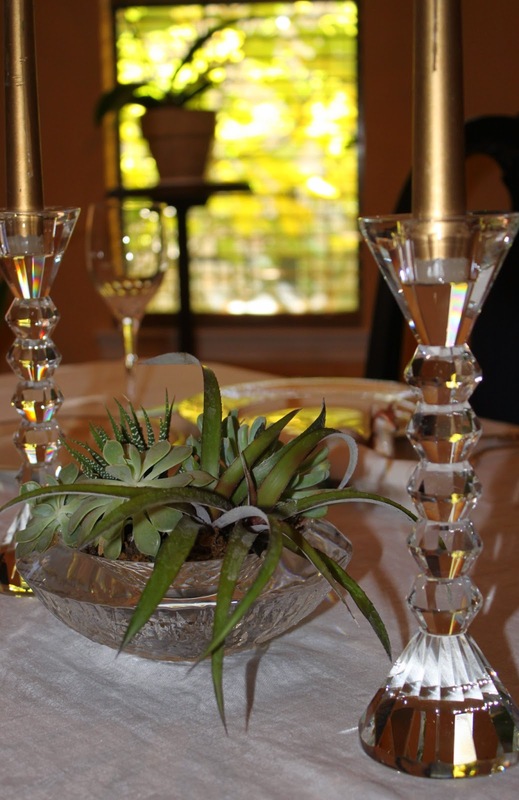 The leaves, known as tubercles, are triangular and resemble agaves which is why it's commonly known as Agave Cactus. I'm joining Loree at Danger Garden to post "My favorite plant" and Hoov at Piece of Eden who asked this week about our current plant crush. This Leuchtenbergia principis is the one for this week. "Haven't been there in years. We're going right by it...so we should stop." Will it freeze or won't it? We've been playing that game for the past few days. The predicted Saturday morning freeze didn't happen, then Monday morning we had a light freeze that wasn't predicted. 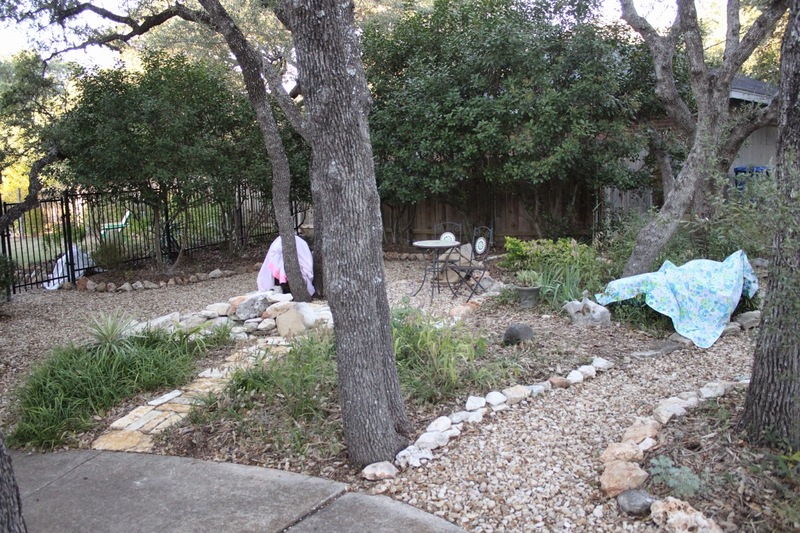 Yesterday afternoon with predictions of a freeze headed our way I decided to go ahead and cover my most vulnerable plants. The preparations are pretty simple. With most of the container plants already stored in the garage we pull out old sheets purchased super cheap at the end of an estate sale. You can see why they didn't sell early on. The winds that blew in ahead of the cold front have died down so the sheets stay put. When the wind is blowing we have plenty of rocks available. Sheets bring up the temperature just a few degrees but it's enough for most of our usually light freezes. While I was out yesterday getting bloom photos I decided to go for two and capture the mist on my foliage plants for Foliage Follow-up sponsored by Pam at Digging. Those of you who live in perennially damp climates are probably laughing yourselves silly by now. We average about 30 inches of rain a year which usually arrives in downpours just a few days a year and within a few hours it's dry out there again. A series of rainy days or a light mist/drizzle day is rare. Even if you find my misty wonderment hilarious I hope you will enjoy these views of my garden. 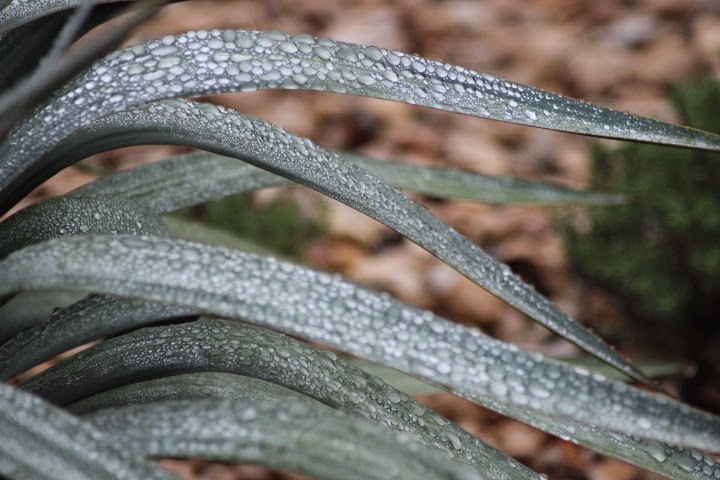 The shiny droplets on the Yucca recurvifolia look almost frosty in the chilly mist. A predicted freeze last week never arrived. We have another freeze warning for Tuesday morning and it might happen this time so the tender plants are protected. It's Garden Blogger's Bloom Day and we have rain! It's a light rain but the forecast was for only morning drizzle so we'll take it and join Carol at May Dream Gardens for a damp and chilly GBBD. We've been about 20 degrees below normal for most of the week but we haven't quite reached freezing yet so let's see how the blooms are faring ahead of a predicted freeze next week. 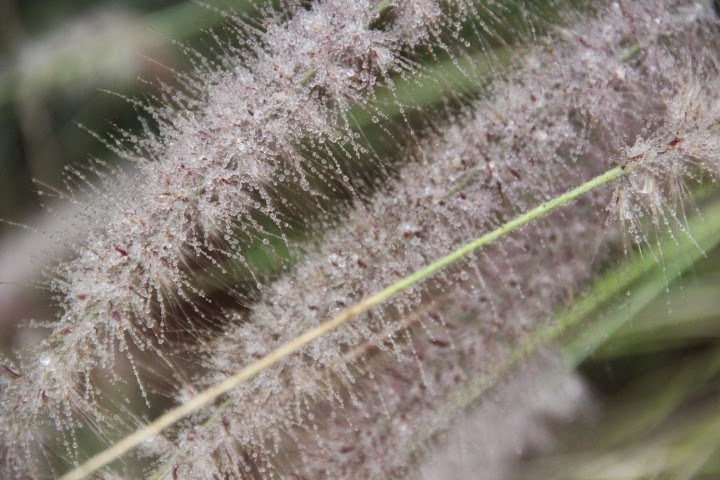 The inflorescence from ornamental grasses are standouts when droplets from the light mist make them shine. This unknown Penstemon seeded over from the neighbor's landscape several years ago and has made itself at home. Exploring San Antonio is one of my favorite things so I jumped at the chance to tour our new Tobin Center for the Performing Arts. 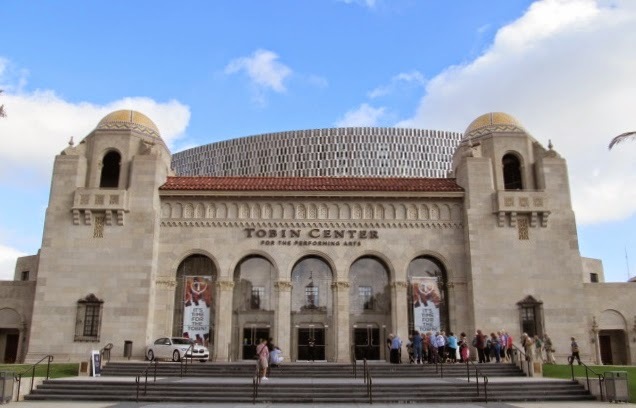 In my Veteran's Day post I wrote about the history of the original Spanish Colonial Revival style Municipal Auditorium built as a WWI memorial. For this post we'll tour more of the outside and also head indoors. San Antonio is known as a military town so it shouldn't surprise me when I come across something special in honor of those who served. In October I was invited to a tour of our newly opened Tobin Center for the Performing Arts built on the site of our old Municipal Auditorium. 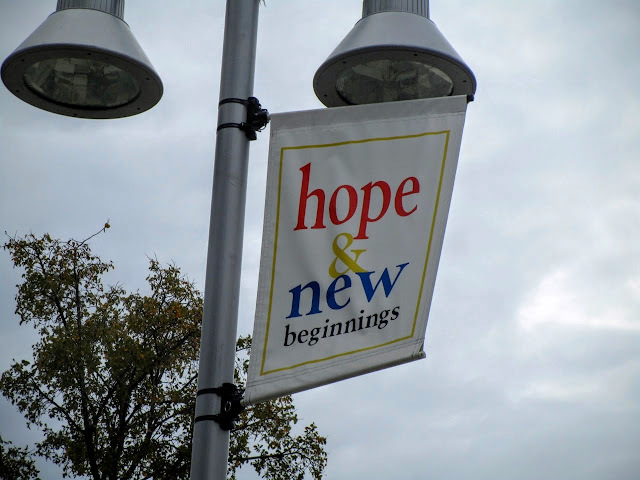 I learned that the original building, which has been partially preserved during construction of the new center, had been built in 1926 as The Municipal Auditorium and dedicated as a memorial to those who died in WWI. While there are a number of buildings and stadiums around the country dedicated to war veterans I don't know of another quite like this beautiful Spanish Colonial Revival structure. It's fitting to feature this special memorial as remembrances of the 100th anniversary of the beginning of WWI are underway. Hurricane Vance brought rain all the way over the Sierra Madre from the Pacific coast of Mexico. We've had a lot of rain and it has been fun watching it pour down since Tuesday evening. The rain gauge says 4" but it seemed like even more. That wiped out half of our annual rainfall deficit in a couple days. Thursday morning the rain stopped enough to head out with the camera and get rare shots of the garden all wet. Plus it's been a while since I took you on a garden tour. Peeking out the front door. We don't see a lot of puddles since most rain either runs off into the creek or soaks in quickly. It's time for Wildlife Wednesday hosted by Tina at My Gardener Says..... on the first Wednesday of each month. November is for the birds. It's time to put away the costumes and Halloween decorations, but not in San Antonio where the celebrations continue with Dia de Los Muertos or Day of the Dead observances. 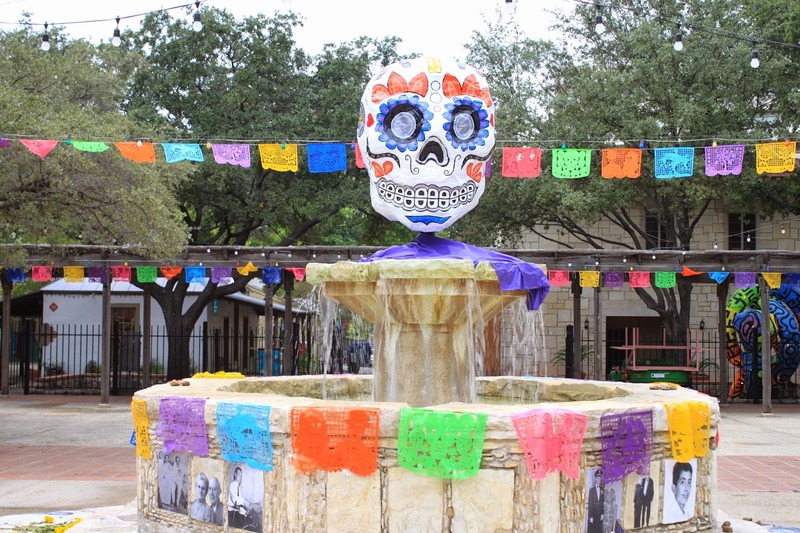 Looking at these photos you might think we have taken a trip to Mexico but this fountain-turned-altar is set up at Maverick Plaza in La Villita or the little village along the San Antonio River Walk.